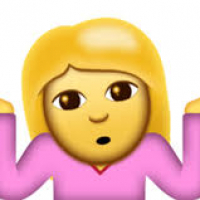 wala pa ding latest releases? Kantar Media National TV Ratings (Nov. 15 to 19) -Princess and I is weekday leader; Wansapanataym and Goin Bulilit rule weekend viewing. 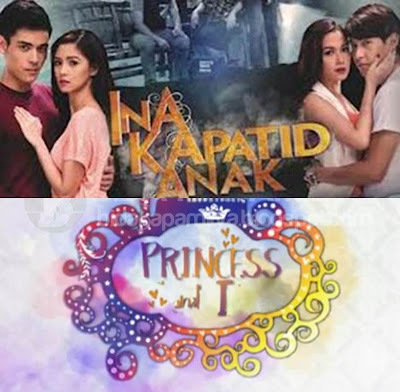 dapat sabay natatapos ang tv patrol at 24 oras para talaga makita natin ang tapatan ng mga programs between PRIMETIME BIDA AT TELEBABAD, kasi ang nangyayari 1st commercial na ng princess and i ei patapos palang ang 24 oras:bop: kaya ang nangyayari hindi na sila magkakatapat ng sakto, like KPM dapat panalo sila sa time slot nila, pero nagmumukha silang talo dahil nag papang abot sila ng TOW for 10-15 minutes nagmumukha tuloy sila ang magkatapat, ei princess man talaga ang katapat ng KPM,pag friday lang talaga makikita ang totoong tapatan nila dahil sabay natatapos ang TV PATROL AT 24 ORAS. Kung alam naman ng GMA na pinaniniwalaan pa sila or at least may pakialam pa masyado ang tao sa ratings na pinapakita nila, lalo pat sa mga shows na sinasabing panalo sila sa ratings provider na nakipag tie up sila, SILA MISMO ANG MAGUUPDATE SA INYO ARAW ARAW. madalang na lang sila magpakita ng ratings. Di kasi mahilig ang GMA sa 'innovation'. Nageevolve na ang technology, magsstick sila sa kung saan sila 'safe'. Mas busy sila kung saan mas kikita ang bigwigs ng GMA habang halos karamihan ng artista nila eh hindi nila kayang pasikatin. true.... i'm a kapamilya fan, but i'll give my opinon dati ang GMA 7 tumaas ang rating gawa sa kasikatan ni Marian noong 2004 and ang dami nilang (GMA) tween stars but now ...,hindi sila nagtrain ng stars and bihira mo lang makita si MR sa commercials or ads, passive lang...at kakaunti na, unlike ABS has Star Magic and Mr. M who keep evolving ABS stars to the core, have a great PR to print media ads , movies and etc,teen and stars of ABSCBN ruled primetime my guess is GMA7 is bored of competing with ABS because MVP's buying again GMA7??? ABS-CBN Corporation, the countrys largest and leading multimedia conglomerate, continued its lead among urban and rural households in the country for the month of November with a total day average national audience share of 41%, or ten points higher than GMAs 31%, based on data from Kantar Media. Kantar Media uses a nationwide panel size of 2,609 urban and rural homes that represent 100% of the total Philippine TV viewing population, while AGB Nielsen only has 1,980 homes based in urban areas and represent only 57% of the Philippine TV viewing population. Data also show that ABS-CBN sustained a sharp lead in the core primetime block (6PM-10:30PM) with an average audience share of 47%, or higher than GMA (29%) by 18 percentage points. This block is the most important part of the day when most Filipinos watch TV and advertisers put a larger chunk of their investment in to reach more consumers efficiently. ABS-CBN also won on core primetime in other territories such as Total Luzon, which includes Mega Manila, with a 42% audience share vs GMAs 33%. In the Visayas, ABS-CBN pulled away with a 53% audience share vs GMAs 26%, while in Mindanao it peaked at 59% or three times bigger than GMAs 19%. ABS-CBN also improved on daytime (6AM-6PM) nationwide with an average audience share of 38% from 37% in October, while GMA dropped to 33 from 35%. Out of the top 15 regularly running programs, ABS-CBN grabbed the 13 out of the 15 spots and captured the top 10. Wansapanataym soared high and led the pack with a national TV rating of 36.4%, while Princess and I remained strong at 2nd place with 34.2%. Maalaala Mo Kaya remained as the countrys number one drama anthology with a national TV rating of 29.4%, almost twice rival programs Magpakailanman that only fared at 16.8%. The undisputed leading daytime program Be Careful With My Heart, meanwhile, zoomed into Novembers top 8 from last months top 14. The Jodi Sta. Maria-Richard Yap starrer strengthened to a national TV rating of 25.1% from Octobers 23.3%. The other ABS-CBN programs in the top 15 include Ina Kapatid Anak (32.2%), TV Patrol (30.8%), Aryana (26.6%), Kapamilya Deal or No Deal (25.7%), Goin Bulilit (24.5%), Rated K (23.1%), and TV Patrol Weekend on Sundays (22.3%) and Saturdays (20.4%), and A Beautiful Affair (19.4%). Most Filipinos also watched the special airing of Zoren Legaspis surprise marriage proposal and wedding to host-actress Carmina Villaroel in Zoren-Carmina Always, Forever: A Wedding Like No Other, which aired last November 24 and hit a national TV rating of 22.8%. RATED K HANDA NA BA KAYO? Kahit saang anggulo Panalo ang abs cbn! ABS-CBN programs consistently top the nationwide viewing for December 4-7 according to the TV ratings data provided by Kantar Media/TNS. 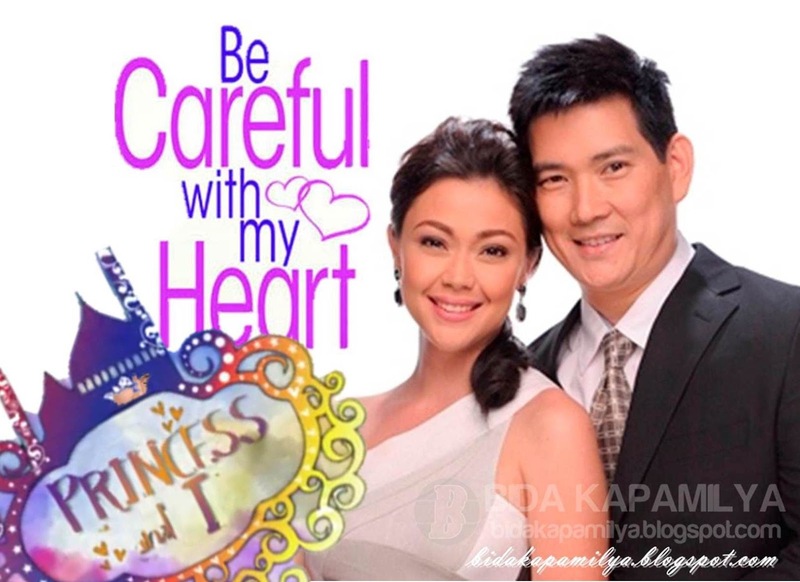 Princess and I and Be Careful With My Heart led the primetime and daytime race, respectively. 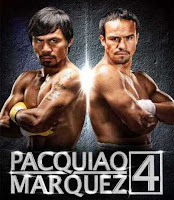 Filipinos tuned in to their television on Sunday as Pacquiao and Marquez battle it out the 4th time hitting 35.9% TV rating according to Kantar Media/TNS. The slightly-delayed telecast topped nationwide viewing last December 9. Ina Kapatid Anak starring Kim Chiu, Maja Salvador, Xian Lim and Enchong Dee toped nationwide viewing last Monday, December 10 beating Princess and I. The intense revelation heats up the story of this multi-generational teleserye. Meanwhile, Be Careful with My Heart still tops daytime viewing followed by Masterchef Pinoy Edition. Afternoon prime series Sana ay Ikaw Na Nga starring Mikael Daez and Andrea Torres is also consistent in the ratings game. Kantar Media National TV Ratings (December 14 to 16, 2012)  Ina Kapatid Anak maintains weekday primetime; Maalaala Mo Kaya beats Wansapanataym; WBO Junior Featherweight Championships: Donaire vs Arce takes the number 1 spot on Sunday.